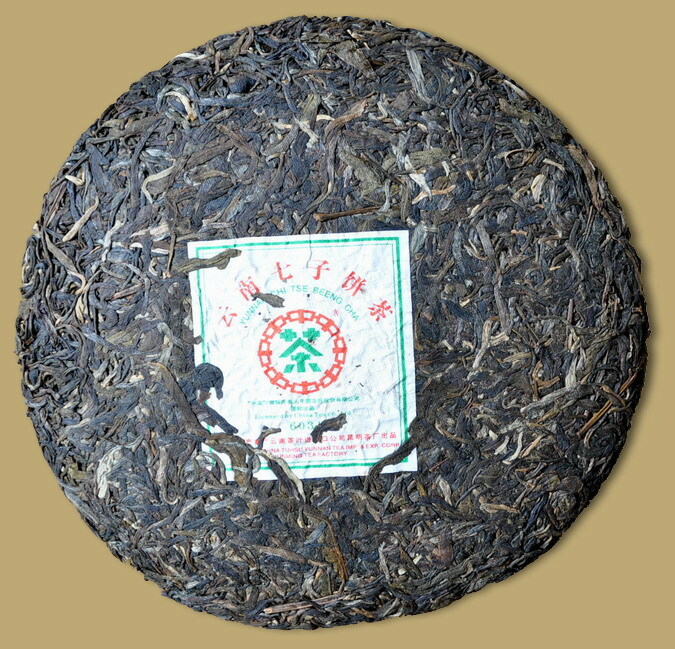 6031 is a new recipe from CNNP. 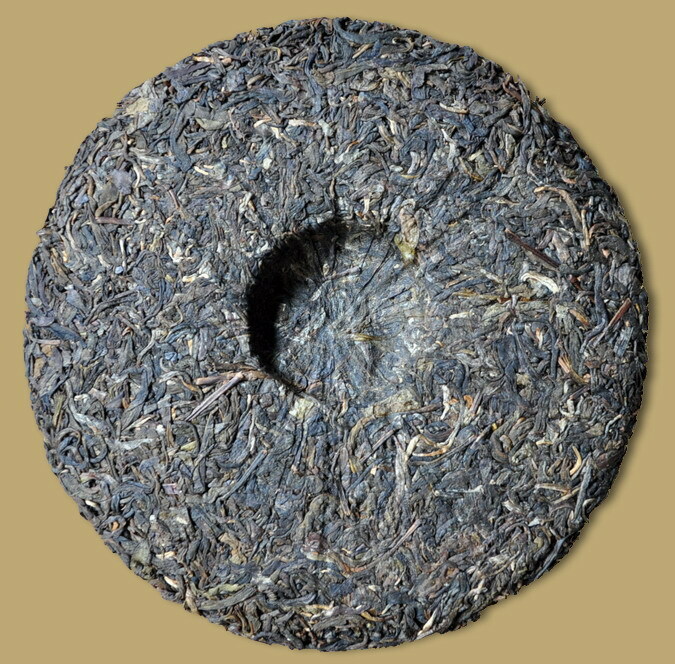 This 2007 vintage raw cakes adopts sun dried raw tea of broad-leaf from Simao. 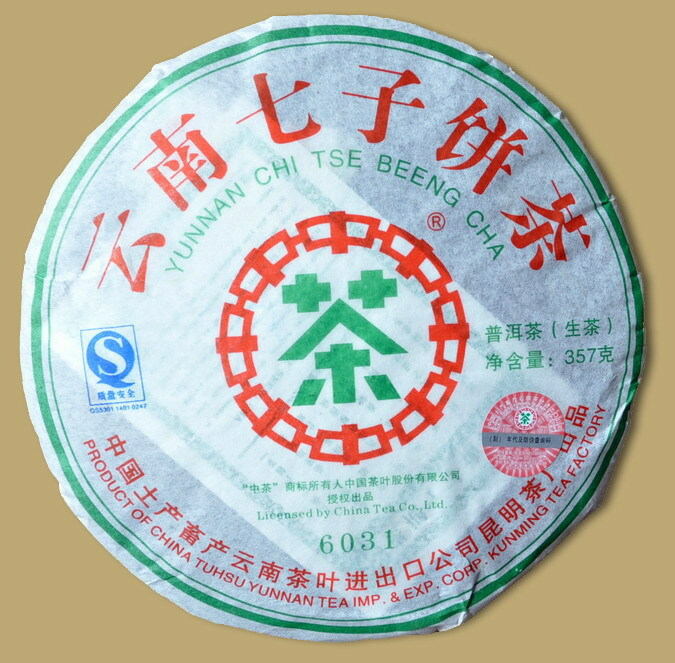 Like all raw Pu-erh, the tea can be drank now and enjoyed by those who appreciate the fresh, bitter, and sweet tastes experienced throughout 10-20 infusions. 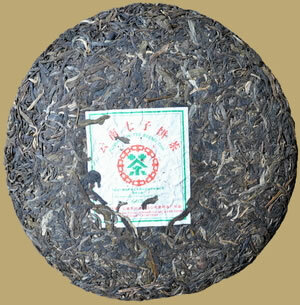 A good choice to collect a nice CNNP's Pu-erh.